Given its widespread popularity today, are you curious about kratom? Or are you a kratom user already? Are you thinking about where to get free kratom samples but are not aware of which stores offer these benefits? If you answered “yes” to any of these questions, it would be useful if you learn about the online retailers or brick and mortar stores that allow customers to sample their products. You may worry about the effects of kratom on your health if it is your first time to try any of its strains. There is actually a group of few established kratom sellers online. They have their own websites which you can navigate and study their details. Learning comprehensively about these shops can help you make the wise decision on where to purchase your dose of the herbal cure. Kratom Exchange offers diverse free samples. They are purists who get their kratom from sources that cultivate the fine medicinal plant through organic fertilizers. In addition, they sell kratom plucked from virgin trees. This seller gives sample packs for customers who are not certain of which kratom strain to try. Green strains, white strains, and red strains are offered in 3 to 10-gram packs. Once the customer is already decided which strain he prefers, he can come back to the online store for more. Regular kratom customers of Kratom Exchange get coupon codes that give discounts from 15 to 20 percent off. Discounts are also enjoyed by repeat customers as a way of this seller to express their gratitude. A shipping cost of $3.99 has to be settled by the customer for first-class shipping of the free samples. Shipping is actually fast, and they offer a money-back guarantee. This online store is among the leading high-quality kratom vendors. 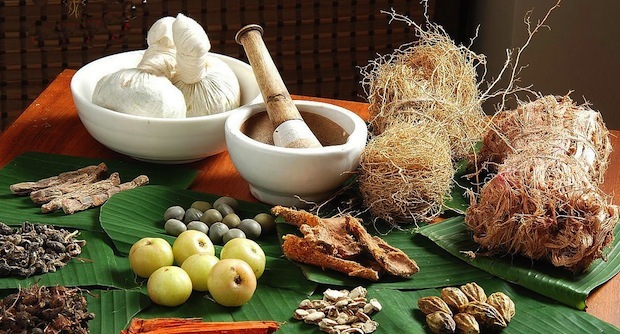 Malaysia, Indonesia, and Thailand are the countries where they obtain the herbal cure. Legit Kratom is also known as True Source Naturals. This online seller cares about their customers as they do not just source kratom from locations that are not established. Unlike other vendors, Legit Kratom answers your query as to where to get free kratom samples. Occasionally, they select which kratom strain to give away as free samples for about 20 to 30 grams. Green Maeng Da is their most common free sample of the herbal medicine. Legit Kratom makes sure that every product in their store fulfills the requirement of authenticity, by regularly examining their kratom for heavy metals and biological contaminants. Commendable customer service also makes Legit Kratom an ideal place that is wholeheartedly dedicated to quality control. Plus, you can avail their money-back guarantee within 30 days if you are not contented with the product that you bought. Established in 2015, Kraoma has rapidly expanded from importing merely 20 kilograms of kratom from Southeast Asia to building a wholesale shop. It is one of the first suppliers of the alternative medicine to offer 1 kilogram of kratom under $100. If you wish to try free kratom, this retailer will permit you to test any two samples you like, free of charge. These strains include Red Maeng Da, White Maeng Da, Yellow Bali, Red Bali, Green Maeng Da, Green Horn, White Horn, and Green Malay. What you need to pay for though is the non-refundable priority mail shipping charge of $6.49. After 2 to 3 days, you can receive your package. Kraoma also offers two 10-gram samples to new kratom users. This retailer cares about their customers; they desire to earn their trust and help them avoid purchasing inauthentic kratom from other sellers. Bali in Indonesia is where the perfect kratom hails from. And with this fact, Kratomind is a seller based in the alternative medicine’s birthplace. If you purchase your kratom products from them, you are guaranteed that you will only obtain genuine and fresh kratom. You actually do not have to worry as to where to get free kratom samples because, fortunately, Kratomind allows customers to take home free samples prior to making a purchase. New customers are actually entitled to four samples of different kratom strains so they can try them for themselves. Delighted kratom users who return are given discounts on some of the kratom strains. If you live or are staying in Arizona for a while and are curious as to where to get free kratom samples, this Arizona-based kratom store distributes their products not only through the Internet. Tucson Kratom also sells their kratom merchandise via vending machines at 3101 North Stone Avenue, Tucson, Arizona, and other few areas across the state. The shop actually offers 10-gram samples, and shipping is free. Kratom users just have to go to www.tucsonincense.com and choose a 10-gram size for only $2.99. Customers will need to use the coupon code “Free Sample” to get the item for free. These samples are delivered to their doorsteps in a matter of 2 to 3 weeks. If your need for the kratom is urgent, you can buy a 10-gram sample that will be shipped on the same day with free first-class tracking and shipping. Based on Tucson Kratom’s website, they are not giving away free samples as of now other than at Fort Lowell, the Head Hunters site on Speedway, and Head Hunters on Stone. This is due to the fact that the company has had hundreds of sample orders that they needed to fill. Hence, customers are requested to check the website again soon to see if samples are available to be shipped elsewhere again. Customers of this retailer can enjoy impressively affordable kratom products. Their unprecedented merchandise line can be bought using Bitcoin or e-Check, making them an ideal choice for customers who value security and carefulness. Gaia Ethnobotanical does not offer free kratom samples but invites new kratom users to sample their five-strain Welcome sampler at $25. Gold Maeng Da, Bali Gold, Green Maeng Da, Elephant, and Green Kapuas are included in this bargain package. Kratom from this online seller is known to be of high quality. If you are seeking the freshest kratom, you can actually find it here. Customers should worry no longer because FreeKratomTrial.com can resolve their body pains, anxiety concerns, and other health troubles. You can avail of their free kratom samples. This is particularly the Phoria Red Maeng Da, which contains two capsule samples available in small plastic bottles. You need to pay for the shipping costs which actually differ depending on where you are located. Manufactured as healthful vegetable capsules, FreeKratomTrial.com offers 100 percent laboratory-tested natural products. Now that you have been acquainted with some kratom vendors that offer free kratom samples, you can start making requests. You can also coordinate with them through their contact information provided on their websites. In this manner, you can really know where to get free kratom samples that would optimize your kratom consumption experience.